For many of us it’s that stressful time of year again: exams, my last one is tomorrow, eek! Then I’ve officially finished university! Exams bring on stress and tears and sometimes it all gets too much, myself included. But these are my tips on how to handle the stress and how to make this stressful time a bit easier. 1. Don’t compare how much revision you’re doing to other peoples. There are always those people who insist on telling you just how much revision they are doing. Don’t worry about what they’re doing, focus on what you’re doing. If the revision is working for you and you feel like you’re doing enough that don’t worry. 2. If the stress is becoming too much, go for a walk. Fresh air is a miracle worker that costs nothing. Go somewhere beautiful, even if it’s your back garden, walk around and breathe in deeply. You’ll feel so much better when you go back inside. 3. Listen to feel good music. I know when we’re sad and stressed all we want to do is listen to deeply emotional music and wallow in self pity, don’t. Put on that cheesy feel good music that you never admit to listening to. It’ll pull you out of your slump. 4. Talk to someone, your parents, friends or partner, anyone you trust. Talking about your feelings will help elevate them and those who you are talking to will be able to give you some perspective. 5. Plan a fun event for when exams are done. For example, my friend Emily and I are going to the zoo are after my last exam. Even if it’s something small, planning something will give you something to look forward to and to think about when the stress is getting to you. 6. Have a bath with a lavender scented product. Lavender’s scent is known to help reduce stress and help you sleep. Perfect if the stress has been affecting your sleep. Good luck to any of you who are taking exams, I hope these tips will help. Remember exams can always be retaken, your health can’t. 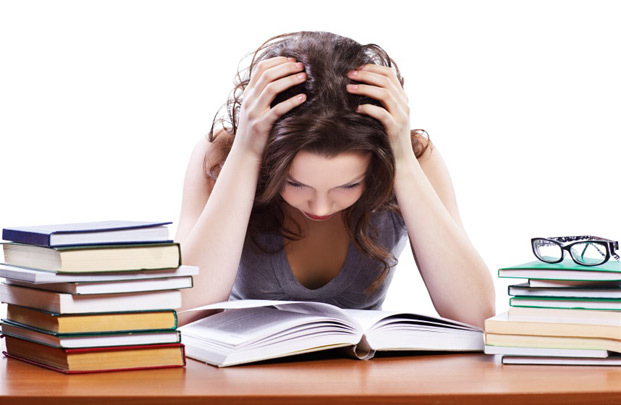 What are your tips for exam stress?